The Hippodrome Casino is a well know land based casino in the heart of London and specifically at Leicester Square. Apart from its land based operations Hippodrome has an online casino hosting all the popular games and of course a Hippodrome Live Casino section. Before we look at the specific live casino games and tables at Hippodrome live casino let’s have a brief look at the history of Hippodrome. The building that is now hosting Hippodrome Casino has been there since 1900, changing hands and functions time and again in the century plus since its opening. It was originally designed to house circus and variety performances and since its opening the building has housed theaters, nightclubs, restaurants, and served as an event space. Since 2012, however, the Hippodrome has been home to Hippodrome Casino, and has been awarded Best Land-Based Casino honors at the Totally Gaming Awards just a year later. Players at Hippodrome casino can enjoy today theater shows, restaurants and various events apart from the casino games. Casino players that enjoy playing live dealer games can find a great number of all the popular games at the Hippodrome Live Casino section. 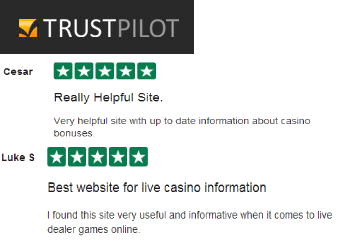 The Hippodrome Online Casino website is powered by their casino partner Betway Limited. This is why we can find a lot of Betway branded tables at the Hippodrome live casino lobby. Hippodrome Casino has a generous welcome package for new players up to £1000 in total. The bonus package includes a bonus on the first 3 deposits. Key Terms and Conditions: New customers only. Opt-in required. 100% Match Bonus up to £250 on 1st deposit of £20+. Additional bonuses of up to £250 on 2nd deposit of £20+ and up to £500 on 3rd deposit of £20+. 50x bonus wagering applies as do weighting requirements. Credit Card, Debit Card & PayPal deposits only. Irregular gameplay may invalidate your bonus. Full Terms apply.